New Haven, Connecticut’s own small historic town! Westville is home to a deep and uniquely committed artistic community, featuring critically-acclaimed galleries, a lively music and theater scene, scores of talented visual and performing artists, two arts magnet schools and a wide range of year-round cultural events and programming. Westville Village has been a bustling commercial district since colonial times. The Historic District features a trove of local restaurants, cafes, boutiques, salons, and galleries laden with New England culture and thrumming with the best of New Haven’s creative spirit. Dive into Westville’s utterly individual community and find out just what you’ve been missing! Westville hosts 3 parks, a beautiful view of West Rock, and an active community of outdoor lovers. Explore Westville in every season with its numerous activities! Westville is a neighborhood in New Haven with amenities galore. Residents and visitors alike can enjoy community activities, the Mitchell Branch Library, nature trails, restaurants, boutiques, and more! The Westville Village Renaissance Alliance (WVRA) is a New Haven non-profit and designated Connecticut Main Street organization. Our mission is to partner with local businesses, property owners, residents and public and private institutions to foster and sustain economic revitalization, community engagement and cultural vitality in Westville Village. 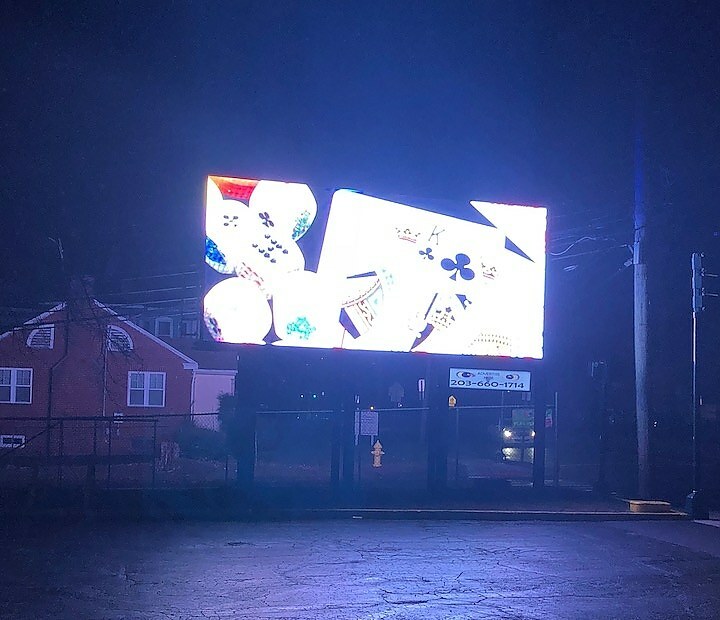 April 3, 2018, by Markeshia Ricks- "New Haven State Rep. Pat Dillon said she received some criticism from colleagues when she introduced a bill that would reinforce cities’ authority to regulate the brightness of digital billboards. Weren’t there more important things for her to draft legislation about? Then a new sign at Whalley Avenue and Emerson Street was powered on. "Now, they understand and are telling me how horrible it is,” she said Monday after a meeting of the state General Assembly’s Judiciary Committee. Her bill made it out of committee with an overwhelming 37 to 2 vote. The continually changing electronic sign, which is near the intersection of Whalley Avenue and Emerson Street, has especially upset parents of nearby Chapel Haven residents. They say they fear that the sign will not only distract drivers but make crossing the intersection difficult for adults with disabilities. City officials said they are powerless under state law to stop such signs from going up. Dillon then moved to change that law to give them the power. (Even if Dillon’s law passes, it would not retroactively affect the new sign on Whalley. )One of the bill’s two no votes Monday came from State Rep. Doug Dubitsky, a Republican who represents the towns of Canterbury, Chaplin, Franklin, Hampton, Lebanon, Lisbon, Norwich, Scotland, and Sprague. The other came from Republican State Rep. Ben McGorty, who represents Shelton, Stratford, Trumbull..."
Click HERE to read the full article and to comment. The Westville Village Renaissance Alliance (WVRA) is a New Haven, CT-based non-profit organization and designated Connecticut Main Street organization. Our mission is to partner with local businesses, property owners, residents and public and private institutions to foster and sustain economic revitalization, community engagement and cultural vitality in Westville Village and the surrounding neighborhoods, while emphasizing historic preservation and placemaking. March 1, 2019, by Sam Carlson- "Nate Blair knew that every neighborhood needs a hub, and Westville was no exception. With the opening of Cafe X, a new coffee shop on the corner of Whalley and Blake, he aims to create that hub. February 28, 2019, by Lucy Gellman- Hartford- Can a sector that generates nine billion dollars, 57,000 jobs, and five percent of Connecticut’s economy expect its funding to stay flat as Gov. Ned Lamont fine tunes his budget? February 11,2019, by Markeshia Ricks- The Westville arts scene grew a little bigger with the opening of Chapel Haven’s new UARTS program and store in the heart of the village Friday afternoon. Artists in the Chapel Haven Schleifer Center joined Mayor Toni Harp and State Rep.